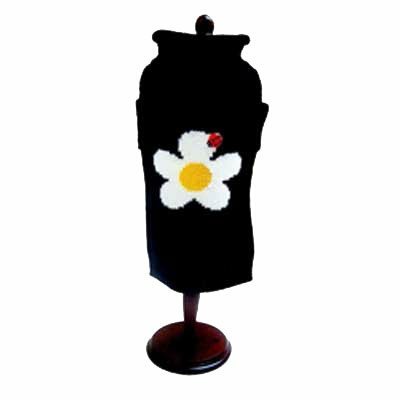 How darling is this Daisy sweater? Colors are black, yellow and white. Comes with a red ladybug button. These sweaters are 100% acrylic and come in sizes 6"-16". Machine washable. 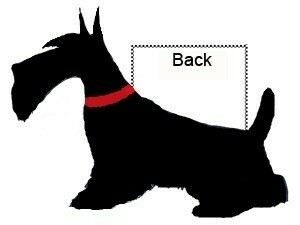 To determine size, measure from the base of the neck to the base of the tail. For dogs with a little more weight or fluff, go up a size.